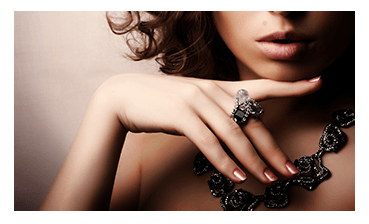 We specialise in professional nail and beauty salon services at affordable prices. If you’re looking for a one-stop-shop beauty salon on the Gold Coast to help make or keep you looking fabulous and glamorous, come in and see us! 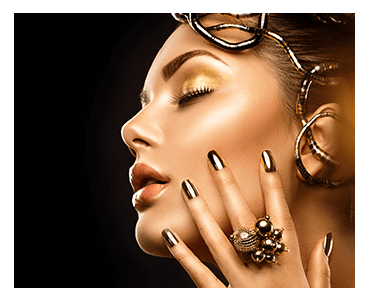 With more than 15 years experience, owning salons and educating on the Gold Coast, Saskia is dedicated in offering a professional, reliable and guaranteed service to make you look and feel great. You’ll be spoilt for choice with our a full range of nail services from absolutely fabulous nail art designs in Acrylic, Gel and Gel polish with rhinestones, 3D nail art, glitters, chrome, hand painted designs to dip and buff nails and Shellac, for those who want to maintain there natural nails with a little help to give them strength and durability. Manicures and pedicures with an added on paraffin wax dip, IBX nail treatment or an ASAP foot peel for that perfect pamper. We offer customised skin packages where we will tailor a package especially suited for your skin. This type of package is ideal for anyone with problematic skin. We can treat sun damage, fine lines, age spots, acne scarring, or simply rejuvenate the skin to make it fresher and younger looking. Getting married? why not visit us for nails, toes, spray tan and waxing. Fall asleep to relaxing music and wake up feeling and looking refreshed and revitalised with one of our many facials. Come in and see us for all your spray tanning needs. Moroccan spray tanning solutions along with their retail range to prep, enhance and extend your colour, will give you that beautiful bronzed, healthy and hydrated glow. If you live in Highland Park, Nerang, Worongary, Gilston, or Carrara, our Gold Coast beauty salon is perfectly located for you! Call us to make a booking or for any enquiries.